I have known Kerry and Ben since way back when I was back at school so it was lovely to hear from them when they were looking for a Wedding Photographer to photograph their big day. It’s always lovely when my wedding couples choose to book a pre-wedding engagement photo shoot as part of their wedding package. These sessions are so much fun and a great excuse to take a break from all the stress of planning the big day and just relax. 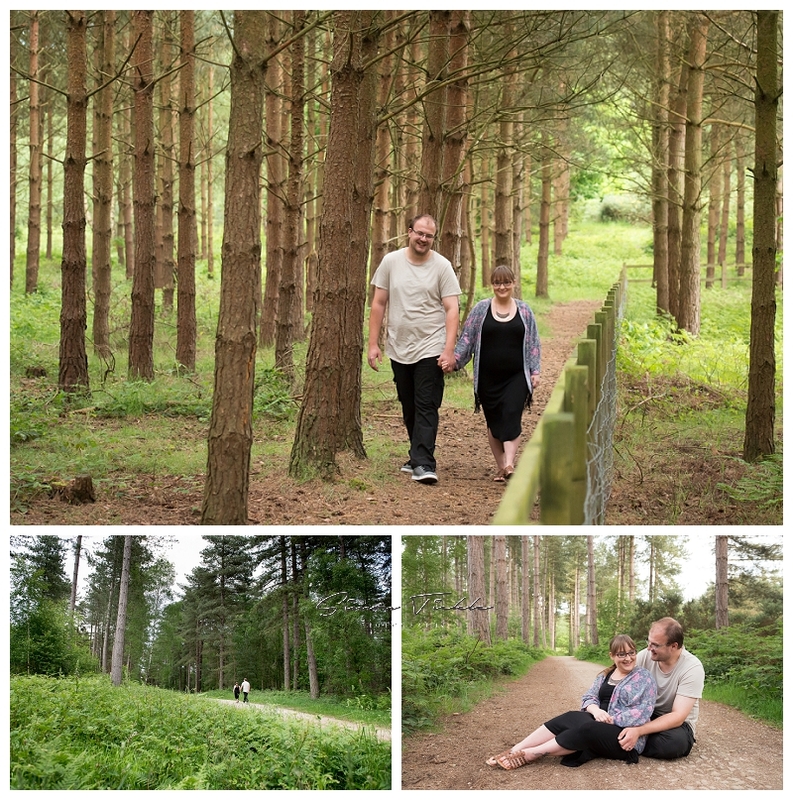 Both Kerry and Ben were not keen on the thought of being photographed, so for this session we met up one evening at a local forest to spend some time catching up on wedding plans and natter about life. Of course, we also sspent time creating some beautiful portraits as well. This session was photographed during the peak of Summer, so we were blessed with incredible golden light as the day drew to a close which adds a lovely warmth to the images. Thanks guys – I can’t wait to photograph your wedding day later in the year ?